Posi-Trap vacuum inlet trap filter elements are sealed at both the inlet and exhaust to provide positive trapping of the effluent gas stream and eliminate “blow-by.” Forcing all particulates to pass through the filter medium, the Posi-Trap comes in a 4” (25 mm ports) model which uses one user selectable filter element and an 8” (40 mm ports) model that holds four filter elements. Made from stainless steel in straight-thru and right-angle styles, they are equipped with a quick-release clamp for easily changing the filter elements. Straight-thru and right angle styles offered. Sodasorb® filter elements are used for trapping acids. Copper Gauze filter elements have a large surface area to trap condensable particles and oil vapors. 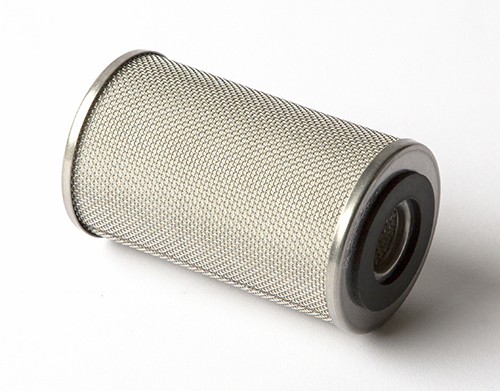 Stainless Steel gauze filter elements are the same as copper but with added corrosion protection. PolyPro 2 filter elements trap high volumes of solids and particulates as small as 2 microns. 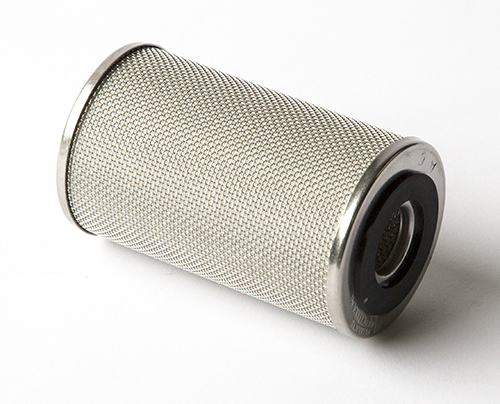 PolyPro 5 filter elements trap high volumes of solids and particulates as small as 5 microns. Activated Charcoal filter elements remove organic vapors. P-4RA-25-AC POSI TRAP, Right Angle, Activated Charcoal Element, NW25 Flanges, A (Body OD): 4.0", B (Body Ht. ): 5.7", D : 3.5", E: 5.8", Port OD: 1.0"
P-4RA-25-CU POSI TRAP, Right Angle, Copper Gauze Element, NW25 Flanges, A (Body OD): 4.0", B (Body Ht. ): 5.7", D : 3.5", E: 5.8", Port OD: 1.0"
P-4RA-25-P2 POSI TRAP, Right Angle, PolyPro 2 Element, NW25 Flanges, A (Body OD): 4.0", B (Body Ht. ): 5.7", D : 3.5", E: 5.8", Port OD: 1.0"
P-4RA-25-P5 POSI TRAP, Right Angle, PolyPro 5 Element, NW25 Flanges, A (Body OD): 4.0", B (Body Ht. ): 5.7", D : 3.5", E: 5.8", Port OD: 1.0"
P-4RA-25-SD POSI TRAP, Right Angle, Sodasorb Element, NW25 Flanges, A (Body OD): 4.0", B (Body Ht. ): 5.7", D : 3.5", E: 5.8", Port OD: 1.0"
P-4RA-25-SS POSI TRAP, Right Angle, Stainless Steel Gauze Element, NW25 Flanges, A (Body OD): 4.0", B (Body Ht. ): 5.7", D : 3.5", E: 5.8", Port OD: 1.0"
P-4RA-40-AC POSI TRAP, Right Angle, Activated Charcoal Element, NW40 Flanges, A (Body OD): 4.0", B (Body Ht. ): 5.7", D : 3.5", E: 5.8", Port OD: 1.5"
P-4RA-40-CU POSI TRAP, Right Angle, Copper Gauze Element, NW40 Flanges, A (Body OD): 4.0", B (Body Ht. ): 5.7", D : 3.5", E: 5.8", Port OD: 1.5"
P-4RA-40-P2 POSI TRAP, Right Angle, PolyPro 2 Element, NW40 Flanges, A (Body OD): 4.0", B (Body Ht. ): 5.7", D : 3.5", E: 5.8", Port OD: 1.5"
P-4RA-40-P5 POSI TRAP, Right Angle, PolyPro 5 Element, NW40 Flanges, A (Body OD): 4.0", B (Body Ht. ): 5.7", D : 3.5", E: 5.8", Port OD: 1.5"
P-4RA-40-SD POSI TRAP, Right Angle, Sodasorb Element, NW40 Flanges, A (Body OD): 4.0", B (Body Ht. ): 5.7", D : 3.5", E: 5.8", Port OD: 1.5"
P-4RA-40-SS POSI TRAP, Right Angle, Stainless Steel Gauze Element, NW40 Flanges, A (Body OD): 4.0", B (Body Ht. ): 5.7", D : 3.5", E: 5.8", Port OD: 1.5"
P-8RA-40-SD POSI TRAP, Right Angle, Sodasorb Element, NW40 Flanges, A (Body OD): 8.0", B (Body Ht. ): 7.6", D : 5.5", E: 8.4", Port OD: 1.5"
P-8RA-40-SS POSI TRAP, Right Angle, Stainless Steel Gauze Element, NW40 Flanges, A (Body OD): 8.0", B (Body Ht. ): 7.6", D : 5.5", E: 8.4", Port OD: 1.5"
P-8RA-50-SD POSI TRAP, Right Angle, Sodasorb Element, NW50 Flanges, A (Body OD): 8.0", B (Body Ht. ): 7.6", D : 5.5", E: 8.4", Port OD: 1.5"
P-8RA-50-SS POSI TRAP, Right Angle, Stainless Steel Gauze Element, NW50 Flanges, A (Body OD): 8.0", B (Body Ht. ): 7.6", D : 5.5", E: 8.4", Port OD: 1.5"
P-4ST-25-CU POSI TRAP, Straight Through, Copper Gauze Element, NW25 flanges, A (Body OD): 4.0", B(Body Ht. ): 5.7", C(Total Ht. ): 8.0", Port OD: 1.0"
P-4ST-25-P2 POSI TRAP, Straight Through, PolyPro 2 Element, NW25 flanges, A (Body OD): 4.0", B(Body Ht. ): 5.7", C(Total Ht. ): 8.0", Port OD: 1.0"
P-4ST-25-P5 POSI TRAP, Straight Through, PolyPro 5 Element, NW25 flanges, A (Body OD): 4.0", B(Body Ht. ): 5.7", C(Total Ht. ): 8.0", Port OD: 1.0"
P-4ST-25-SD POSI TRAP, Straight Through, Sodasorb Element, NW25 Flanges,A (Body OD): 4.0", B (Body Ht. ): 5.7", C (Total Ht. ): 8.0", Port OD: 1.0"
P-4ST-40-AC POSI TRAP, Straight Through, Activated Charcoal Element, NW40 flanges, A (Body OD): 4.0", B(Body Ht. ): 5.7", C(Total Ht. 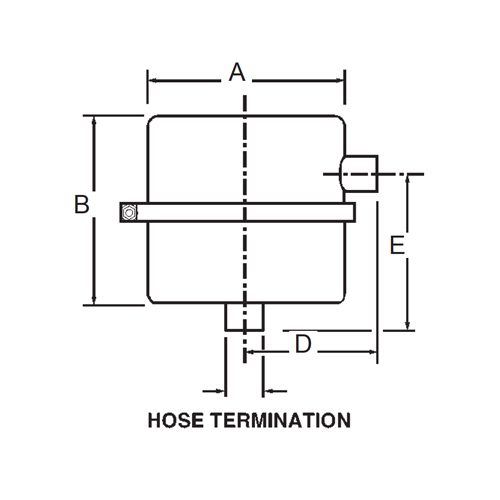 ): 8.0", Port OD: 1.5"
P-4ST-40-CU POSI TRAP, Straight Through, Copper Gauze Element, NW40 flanges, A (Body OD): 4.0", B(Body Ht. ): 5.7", C(Total Ht. ): 8.0", Port OD: 1.5"
P-4ST-40-P2 POSI TRAP, Straight Through, PolyPro 2 Element, NW40 flanges, A (Body OD): 4.0", B(Body Ht. ): 5.7", C(Total Ht. ): 8.0", Port OD: 1.5"
P-4ST-40-P5 POSI TRAP, Straight Through, PolyPro 5 Element, NW40 flanges, A (Body OD): 4.0", B(Body Ht. ): 5.7", C(Total Ht. ): 8.0", Port OD: 1.5"
P-4ST-40-SD POSI TRAP, Straight Through, Sodasorb Element, NW40 flanges, A (Body OD): 4.0", B(Body Ht. ): 5.7", C(Total Ht. 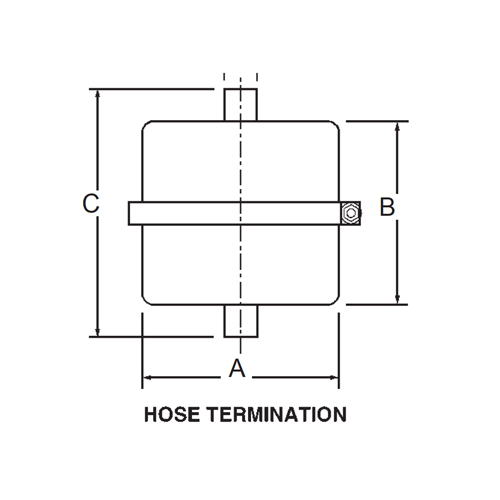 ): 8.0", Port OD: 1.5"
P-4ST-40-SS POSI TRAP, Straight Through, Stainless Steel Gauze Element, NW40 flanges, A (Body OD): 4.0", B(Body Ht. ): 5.7", C(Total Ht. ): 8.0", Port OD: 1.5"
P-8ST-40-CU POSI TRAP, Straight Through, Copper Gauze Element, NW40 Flanges, A (Body OD): 8.0", B (Body Ht. ): 7.6", C (Total Ht. ): 11.0", Port OD: 1.5"
P-8ST-40-SD POSI TRAP, Straight Through, Sodasorb Element, NW40 Flanges, A (Body OD): 8.0", B (Body Ht. ): 7.6", C (Total Ht. ): 11.0", Port OD: 1.5"
P-8ST-40-SS POSI TRAP, Straight Through, Stainless Steel Gauze Element, NW40 Flanges, A (Body OD): 8.0", B (Body Ht. ): 7.6", C (Total Ht. ): 11.0", Port OD: 1.5"
P-8ST-50-SD POSI TRAP, Straight Through, Sodasorb Element, NW50 Flanges, A (Body OD): 8.0", B (Body Ht. ): 7.6", C (Total Ht. ): 11.0", Port OD: 1.5"
P-8ST-50-SS POSI TRAP, Straight Through, Stainless Steel Gauze Element, NW50 Flanges, A (Body OD): 8.0", B (Body Ht. ): 7.6", C (Total Ht. ): 11.0", Port OD: 1.5"